We are Producing a Superb Quality Basic Slit lamp with 2 Step Magnification. We use superior multi coated optical lenses which ensures you to provide the clear image and fine details to viewer. The binoculars of our slit lamp provide the interior chamber depth perception. Our slit lamp gives brilliant illumination with halogen lamp of 6v 20w. The variable slit width is 1mm to 10mm and slit length is 0.2mm to 10 mm of our slit lamp. 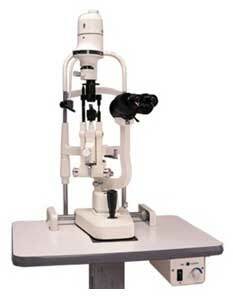 We are widely well renowned as the prominent slit lamp manufacturer and exporter from India. Imported binoculars can be provided on request.